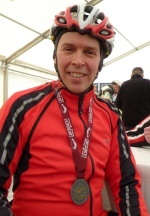 I did the Endura Trek Lionheart last year, and enjoyed the route so much I wanted to do it again this year. 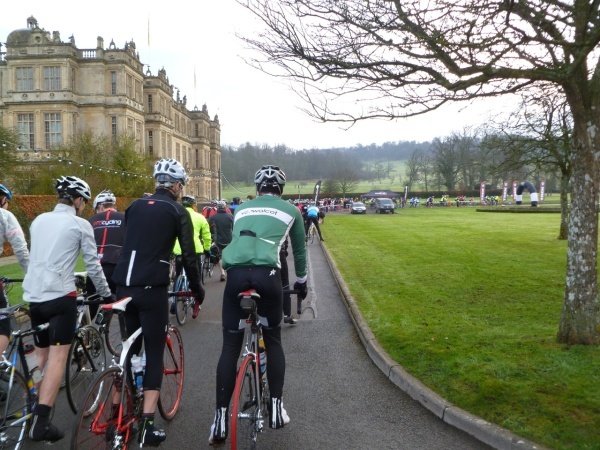 Well how many sportives do you know that start in a safari park? It has the added advantage of not being that far from home, so my alarm was set for a positively lazy 5:40am, and I was out of the door and on my way by 6:20am. Start: Longleat Safari Park, Warminster, Wiltshire, BA12 7NW. Plenty of free parking. Event village at start/finish with toilets, food tent, etc. Timed: Helmet timing chip - sent out in advance with rider numbers, map and instructions. Roads: Safe quiet picturesque route on mostly back roads. Goody bag: Endura Trek Lionheart medal, neck scarf, a magazine, Nuun sample, and tyre levers. When I looked out of my window first thing it was foggy, but I'm pleased to say that it cleared up fairly quickly, and because of the late start it was also daylight as I loaded up the car. 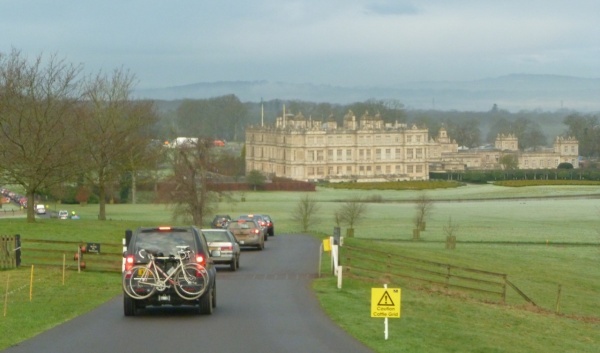 Longleat is almost not far away enough to adjust to what it is that you're about to do and get into the right frame of mind though... as before you know it, you've joined the queue of cars down the long drive towards the house. Parking is copious, free, and marshalled. You may park on grass, but there's road in between the spaces, which minimises the puncture risk and the length of time your cleats are walking over wet grass. I hate starting a ride with wet feet, don't you? Having been sent the helmet tag, bike numbers, a waterproof map and instructions well in advance there was no need to register, which made the start simpler. Time to find the toilets then. 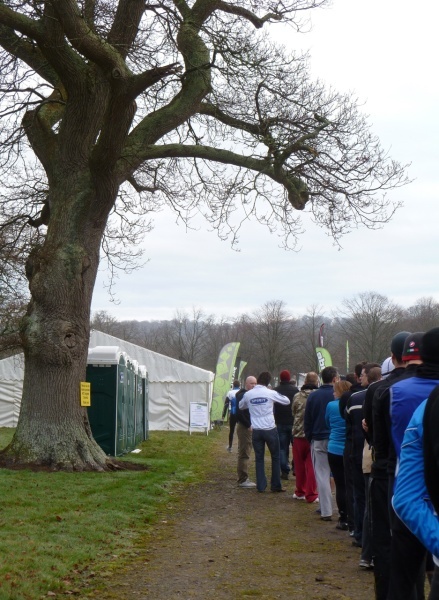 I know moaning about toilets at events is one of my favourite things, but with 1200 entrants, I'm thinking 9 portaloos may well not be enough? There was a long queue, and usually when this happens, you'll find quite a few riders tempted to go and water a tree, but the signs were very keen to remind you that this was not acceptable and, to be fair, pretty much everyone was doing as they were told, probably to avoid being thrown to the lions! It was time to get back to the car and start the serious business of faffing. Having checked at least 3 weather forecasts, which were guaranteed not to agree with each other, before leaving, the layering options were endless. I made my mind up, stuffed a few extra options in the saddle bag, and joined the queue for the start where I met up with some friends. As the ride is quite local to me a lot of the riders I know were doing it, not that I expected to ride it with them, but it is nice to see a friendly face from time to time. The queue moved forward in batches. Each one got a quick rider briefing by loud hailer, and soon it was time for our group to be on our way, at around 8:20am. After the weather at the Mad March Hare a couple of weeks ago, setting off and it not being pouring with rain meant the day was already off to a good start. 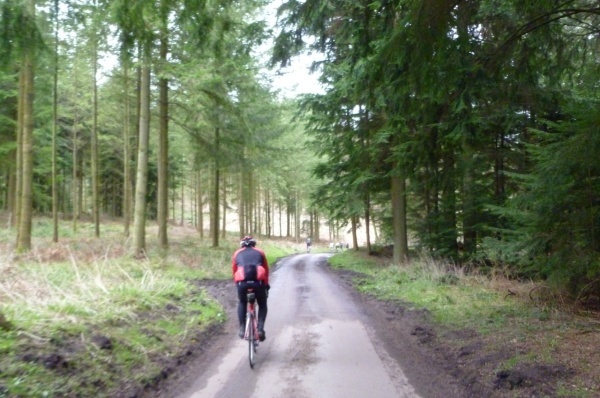 The ride starts with a surprisingly lumpy loop inside the estate and then the long climb out of the estate up the drive, which is a good way to warm up. The first couple of hours of riding were fairly flat on quiet country roads. It was a bit hairy up until the route split though as there was a wide range of bikes, rider abilities, and rider experience. Quite a lot of riders were clearly not used to riding in groups, or in company, so it was every man for him/herself when it came to spotting road obstacles and keeping an eye out for traffic. The route split took a lot of people by surprise. It was at a marshalled crossroads, about 18 miles in. The "100 mile straight on", "100 km right" signs were down on the left hand side across the junction. 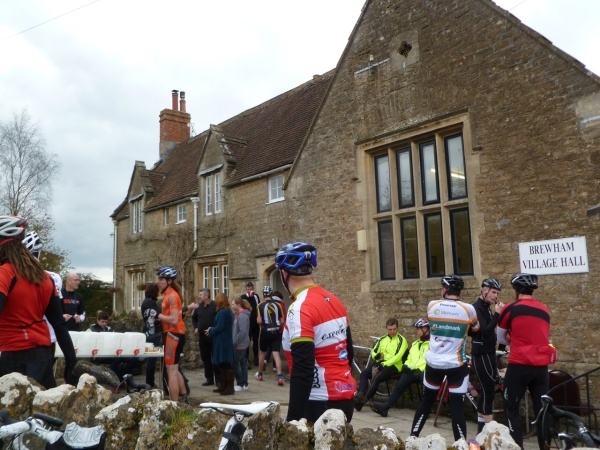 If you didn't hear the marshalls shouting, and arrived amongst a lot of riders, or were following wheels and not paying attention, it was easily missed, and quite a few people ended up accidentally doing the shorter route, and not realising until it was far too late. Something to improve for next year? I carried on my 100 miles way, amongst a thinned out crowd of possibly slightly more experienced riders, which made it easier to relax into the ride. 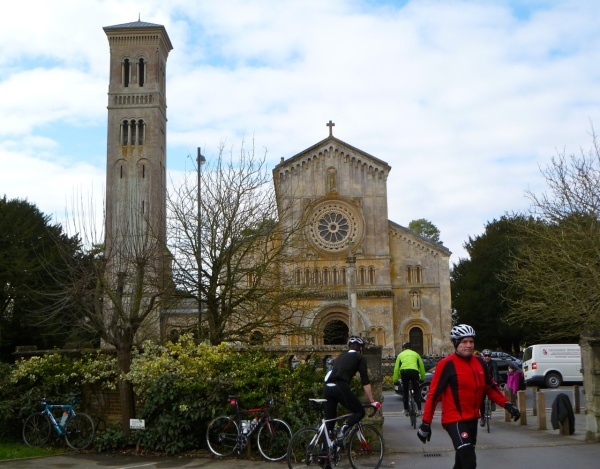 Having done this event before, I remembered a lot of the route, and when this unusual italianate church hove into view once more, I knew I was about to reach the first food stop - which came about 30 miles in. I love it when food stops are in village halls because I get to go to the toilet in civilised fashion, and don't have to watch lycra clad men lined up by the side of the road doing their thing. Far nicer I'm sure you'll agree. As you can see there was quite a spread laid on and it was proving very popular. After a short breather I stashed various layers, as planned, and headed off again. Life got a little bit lumpier for the next section, with some longer climbs, the use of some more major roads, and a couple of beautiful descents. It's a shame a good descent is nearly always ruined by a junction at the bottom! A lot of these were well marked with "Caution" signs, but the first one for the A303, although well marshalled at the bottom, could have been better marked, and the second A303 one somewhat later on came as a nasty shock and I was glad of my new brake pads! To be fair the marshalls got us on and off the A303 first time around, which is where the traffic is worst, very efficiently and with a smile and some banter - which is always nice. 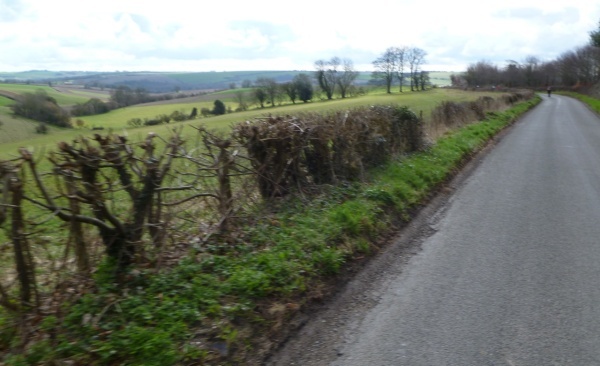 There was a nice climb up from the A303, where I actually got teased by another rider as I passed him for being a typical woman talking going uphill, which I'm fairly sure hasn't happened before - very good for the ego. This was followed by a lovely downhill swoopy section, and then with 50 miles done, it was time for the second food stop, which came with food, toilets, and mechanical assistance should you need it. Oh, and sunshine! What more do you want? Not long after this stop came one of my favourite parts of the ride, which I had been looking forward to. 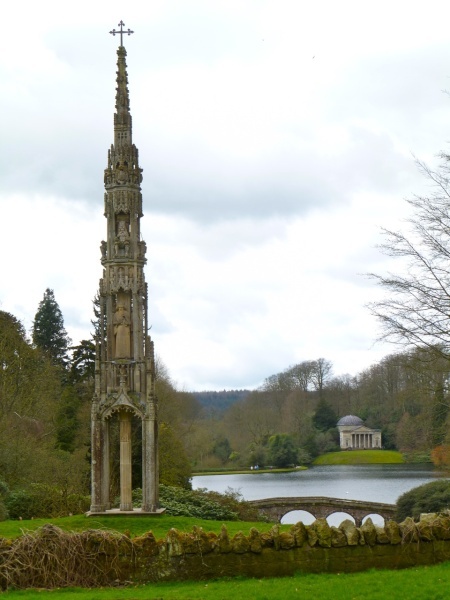 Welcome to Stourhead. Scenic, pretty, and not as crowded as it can be. I stopped to take a photo, and had a brief chat with a couple of elderly gentleman who were enjoying watching the cyclists going through and reminiscing about when they used to do the same. I hope that's me one day, full of happy cycling memories, but I also hope I'll still be riding then! There's an up and down forest section after this, which I enjoyed more last year as this year the roads were covered in mud and a bit hazardous, especially on descents. Luckily it was almost devoid of cars, as I was frequently on the wrong (but drier) side of the road! After the final climb out of the valley there was a beautiful long stretch along a ridge with awesome views before another glorious descent, and after all the fog around here recently it made a nice change to actually be able to see those views! There were actually three food stops on this route, which I like, because it helps me mentally break the ride up into more easily manageable parts. Especially important as I knew the worst climbs of the day were in the last quarter! 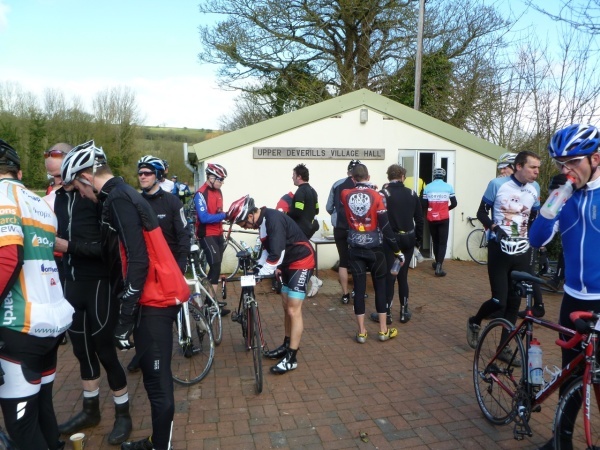 The third stop was 74 miles in, halfway up quite a steep hill, which made arriving and departing interesting... As well as the usual provisions they had coffee ready, and since the temperature had dropped a little again, something warm and with a bit of a kick went down a treat. The cakes looked lovely and the staff both inside and out were very friendly and cheerful. I stuck the odd layer back on again, even though I knew the hills were looming, because the weather looked to be taking a turn for the worse. Time to get the last, and most anticipated section, over and done with. I walked a little way up the hill to a marginally flatter bit to make sure I got on my bike, got going again, and stayed upright. 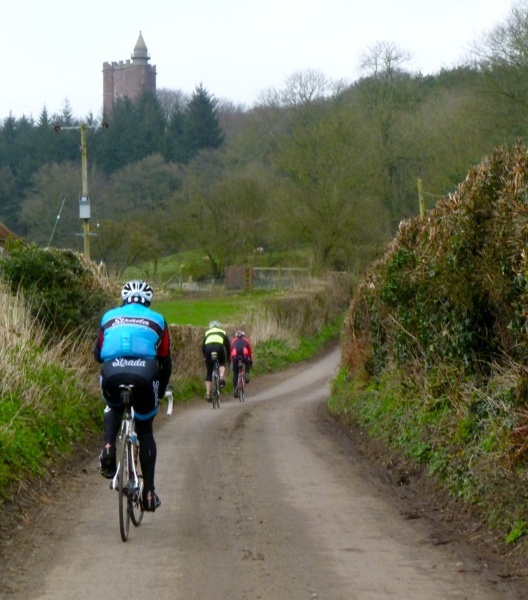 3 miles down the road comes the King Alfred's Tower climb which, last year, I had to stop on twice. Rain was threatening, the road was damp and not clean, and as if a nasty hill isn't bad enough, this year they were timing it! My time will be unimpressive but I don't care because this year I made it up in one go! I puffed my way up like a steam train, even managing to pass a few other riders. Somewhere near the top I could feel my front wheel lifting, so I leant forward, redistributed my weight, crossed a few mental fingers, and kept going. If there hadn't been an audience I'd have been whooping when I made it over the top, but there was, so I settled for grinning a lot instead. Go me! My achievement helped motivate my legs for the final bit, which was good as they were starting to flag a little and I knew there were two big climbs to come. They were indeed large, and hard work, but at least I knew what I was letting myself in for. Massive kudos to the two long haired guys on fixies who I'd leap-frogged a couple of times, and who came back and overtook me going up these - chapeaux! The last few miles included an extra very busy car laden loop where, as a steady stream of slowly climbing riders, we held up the traffic a treat - which I doubt made cyclists any more popular. There was entirely too much last minute climbing towards the end, and the finish went back down the (admittedly enjoyable) drive, rather than down last year's glorious sprint finish straight, which was a shame.I think my official time will be around 7:00hrs which, as an 18-39 female, will give me a Silver time. 'Rah! Last year it was 6 miles shorter, and took me 15 minutes longer, so I was quite pleased. I headed for the event village where free hot drinks and a very lovely looking five bean hotpot food were available, there was music were playing, and if I had the money I could probably have bought a Trek. There was even Lionheart beer for anyone who was up for it, but I stuck to drinking coffee and chilling out for a bit. However, as it was Mothers' Day, and since I qualify, it was shortly time to head for home, tired and achy, but happy. I caught up with some riders at the finish line to see what they thought of the day's event. Guy Buckland said "It's a great event, quiet route in one of the nicest parts of the world, the scenery is stunning and there are a couple of testing climbs but it's not overkill, reflecting its early position in the season. 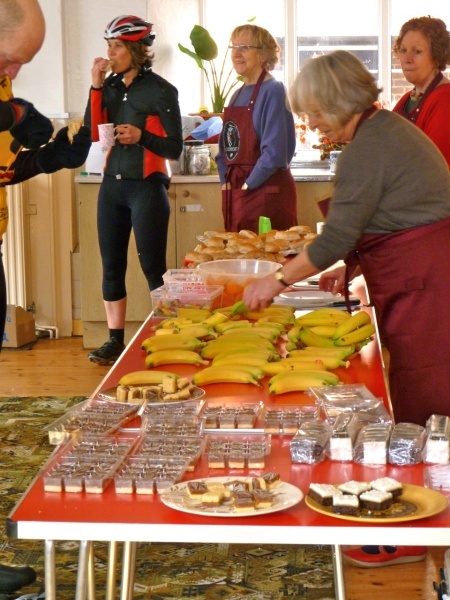 Feed stations are lovely with good provisions and very friendly helpers. 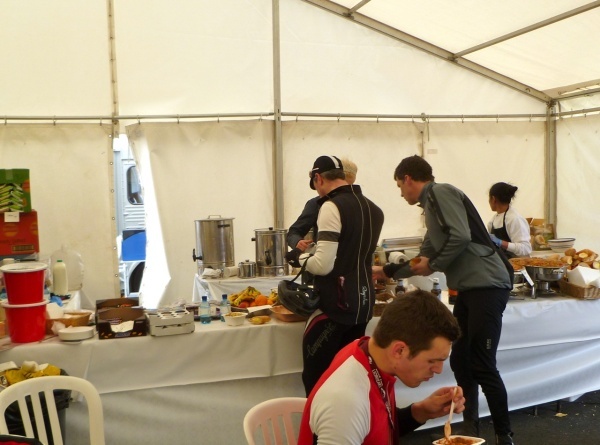 The food at the end is also great, just what you need after 101 miles. To improve they need to provide more toilets, especially a urinal "truck" or the free-standing ones and some women-only loos." 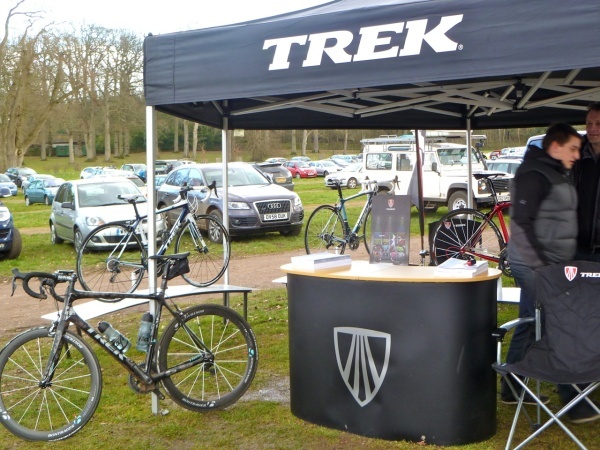 Kevin Bird said "Endura Trek Lionheart was a great event, I thoroughly enjoyed it and the weather was kind to us! The event was extremely well organised, the signage was perfect and the marshals were really helpful. All in strategic places and clearly communicated with the riders. 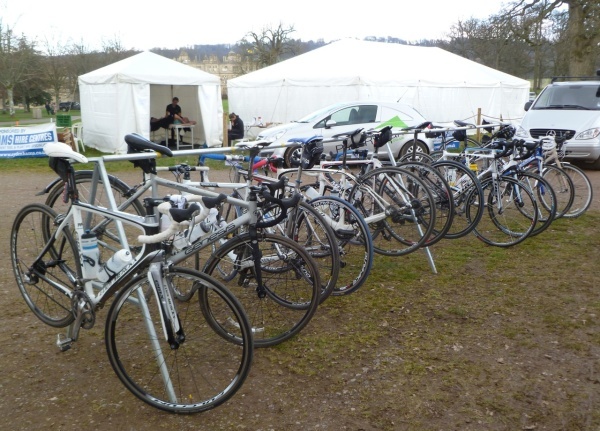 I really enjoy sportives and this was one of the best, the only downside was all that mud. My wheel stopped going round up hill eventually, so I blame the mud for my performance!" 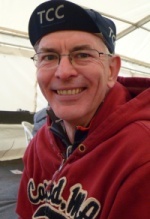 Michael Joseph said "The 100 mile event was great and I rode it solo in 5:54. 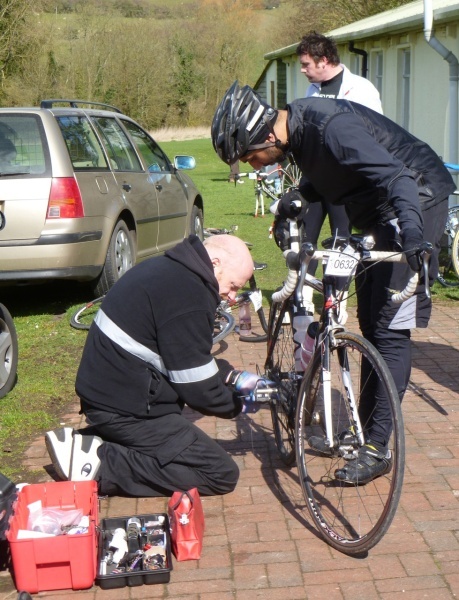 I have been doing Sportives for 6 years and have lost count of how many. I am the director Sportive for the TCC this year and organized the TCC Surrey Rumble earlier this month. Couple of thoughts: Some way muddy roads. Does the course have to use these roads ? I would prefer a more main road, much safer. As a general comment I am amazed the farmers are allowed to leave roads in this condition. Could the council run a road cleaner the night before? Some stretches were very hazardous. Also, there was a fast descent to an A road which is at the bottom of a hill. This should be marshalled as it comes up very fast and is risky. Liked the venue, the route, the people and the food. All great. 9/10." Barry Eggleton said "Personally, I loved it. The organisation is excellent from the minute you first receive your email stating you have entered, the little reminders and news etc, (I even ordered my wife some flowers from Bramble & Wild as advertised in a news letter and delivered to the event HQ for me to collect when I'd finished) The signs to get you into the car park and the cheery car park attendants. Little things but they all add up. The start line marshalls going round checking the helmet stickers for timings to ensure that no-one was disappointed by not recording. The marshalls and route signs were brilliant so no chance of getting lost and their expertise at being able to read the traffic beautifully to enable me to filter in and carry on my merry way. All in all, it was a brilliant day. I thought last year was amazing, but this year was even more polished. I have heard gripes about the toilet facilities etc, but it didn't bother me. 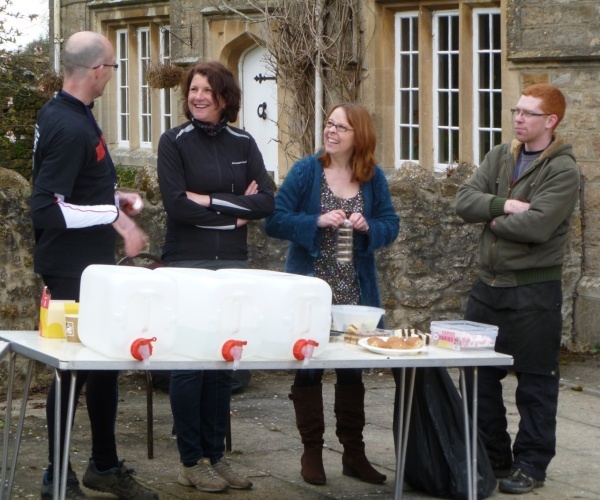 The feed stations were stocked beyond belief and staffed by friendly volunteers. My only complaint and its in no way the fault of the organising staff, was the mud on the course which clogged under my front wheel so many times which felt like I was riding with the brakes on for most of the time, but as I say, thats not the fault of the organisers and we ride in the country and that sort of thing can't be helped. As they say, Rule 5. Now for the boring bit, this was only my fourth sportive and I can rate this at the best I have ever ridden. Brilliant staff, brilliant organisation, brilliant route (except for the mud), gorgeous hotpot - Oh and one extra item: the idea of entering as a "Pride" of 5 with one female (who goes free) is a brilliant idea"
The 100 mile route map said about 4,000ft of climbing and you say (above) around 1,600 metres. Both my Garmin and Bryton (yes, I carry 2 bike computers) recorded over 2,000 metres of ascent. This may depend on how you define 'climbing' I suppose, but I had assumed 4,000ft of ascent over 100 miles and duly went for a hilly ride on Saturday to make up for the anticipated lack of total ascent on Sunday. A decision that caught up with me a bit towards the end of Sunday. Whatever the definition of 'climbing' there was substantially more than 4,000 ft height gain and maybe the organsiers might like to be a bit clearer about this next time. Other than that, a fantastic event.